GST Payment Online - How to Pay GST Online? After making all adjustment and taking Input Tax Credit (ITC) available to a tax payer, a tax payer is required to pay any balance GST liability online. 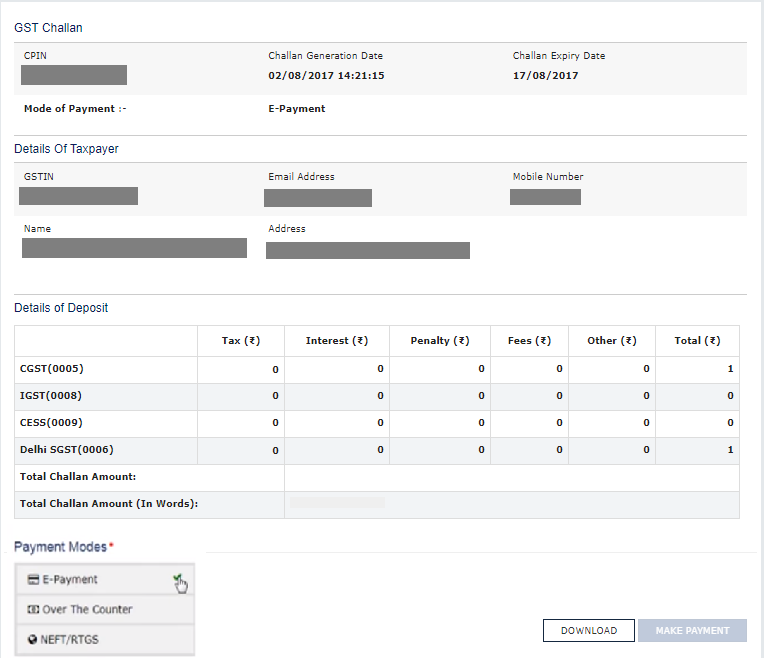 Step 3 – Enter the amounts and select the method of payment i.e. e-payment, over the counter or NEFT/RTGS. Click on Generate Challan once all the details have been filled in. Payment through NEFT/RTGS from any bank. However, there is a limit of Rs. 10,000/- per challan, for over the counter payment through authorized banks. 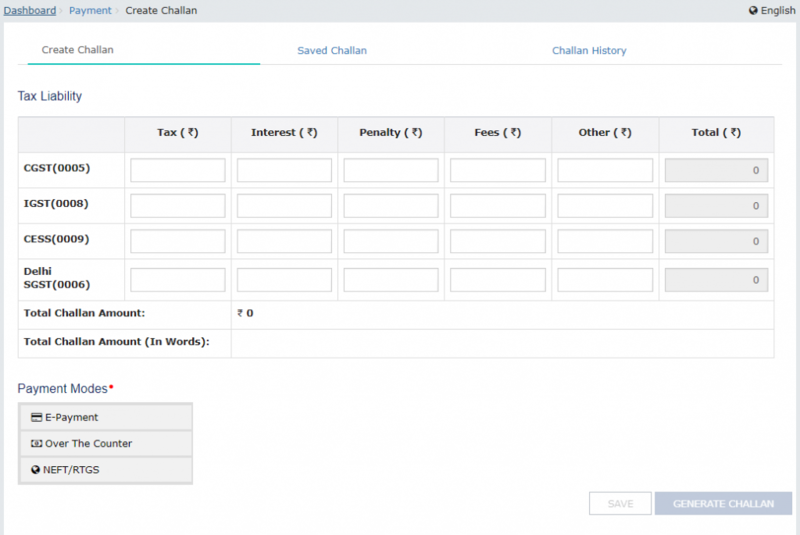 Step 4 – A summary page will appear containing all the details of the challan. Select the ‘Mode of Payment’. You can either choose ‘Over The Counter’ to make payment by going to the bank in person or choose ‘E-Payment’, ‘NEFT/ RTGS to make online GST Payment. Click on ‘MAKE PAYMENT’. 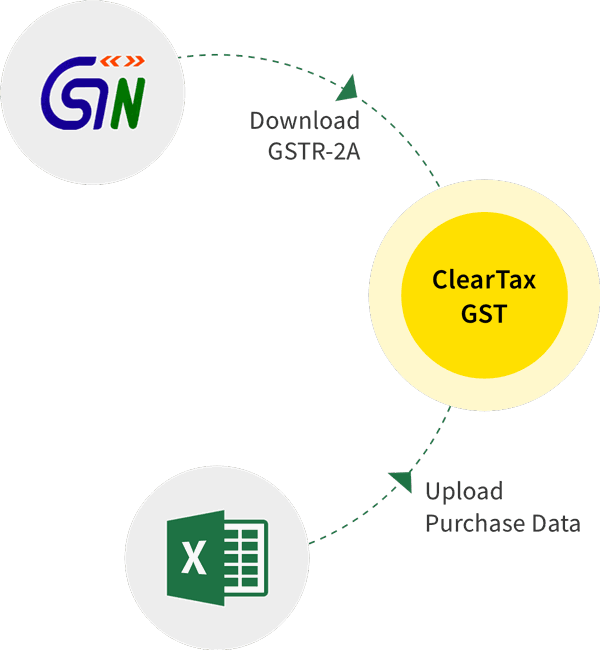 Step 5 – Make an online payment of GST through Net-Banking or take a printout of the challan and make payment in Bank. Once the payment is made you will receive a challan containing all the details of tax paid. Thereafter the tax paid challan (CIN) will be credited to the cash ledger account of the taxpayer.